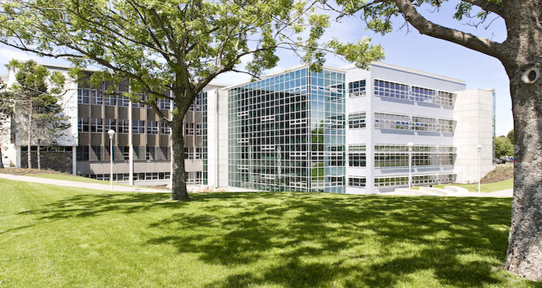 The front of the Mearns Centre for Learning - McPherson Library looks out on UVic's central quad. 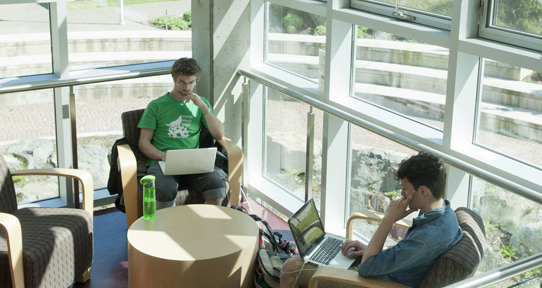 The Learning Commons is a welcome space on the main floor of the library. 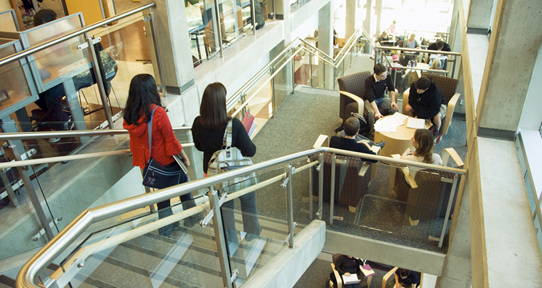 The stairwell in the Mearns Centre - McPherson Library looks out over the Ring Road. The study spaces inside the stairwell have the best views. There are books located on every level of the library, but the main stacks are found on level 2, 3, and 3M. The back of the Mearns Centre for Learning - McPherson Library looks over the Ring Road. 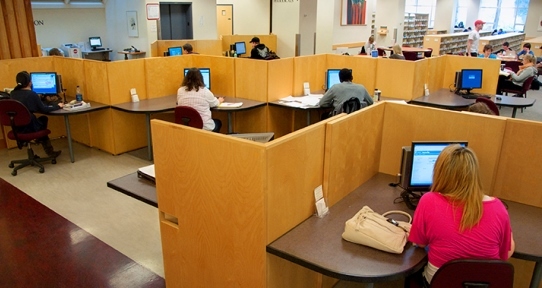 Distance Learning and Research provides services for distance students. We will help you find the information needed to complete your course work. As a distance education student, use these pages to learn how to search the library databases off campus. Contact us to request the books or articles you need or for research help. Find online tutorials, research assistance and information for undergraduate students. Are you a graduate student needing help with research? Find more information here. We assist faculty who are preparing for or updating a distance education course offered through UVic. 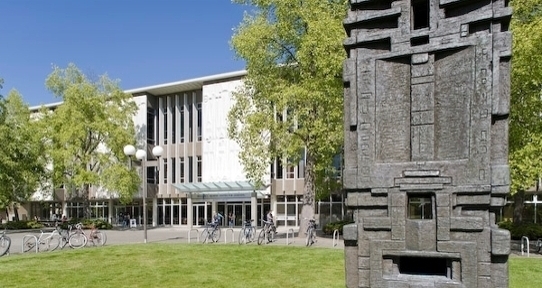 UVic services are also available to institutions, organizations, businesses and individuals.